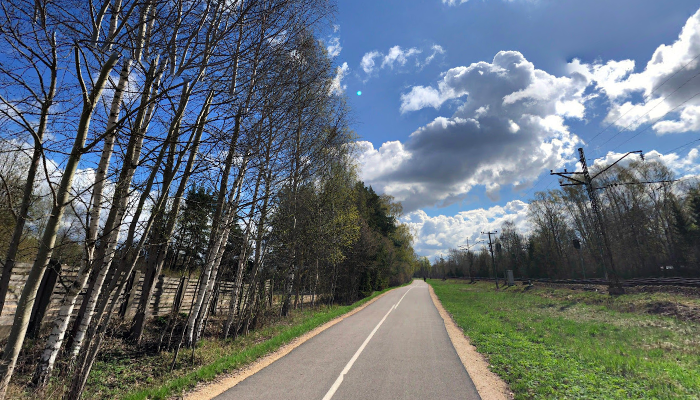 A little known but celebrated cycling route takes runners from the Latvian University Botanical Garden west to the beach town of Jūrmala. Locals say the bike path is somewhat worn, but the paved way is perfect for a quiet run away from traffic. The path from the Botanical Gardens to the Rigas iela bridge is about 13 km (8 miles). One good option is to run one-way and take the train back. Add-Ons: The sidewalk on Rigas iela road is suitable for extending the route into the center of Jūrmala. The town is famous for its spas and wooden architecture. On the east end, runners can extend to the island of Kipsala and the Daugava River to Old Town via Krišjāņa Valdemāra iela. Botāniskais dārzs. Option to run one-way and take the train back.